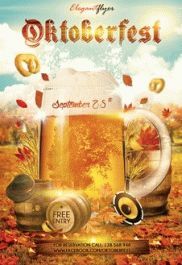 Download our Free Oktoberfest Flyer templates and organize your own Oktoberfest with great music and tasty beer! 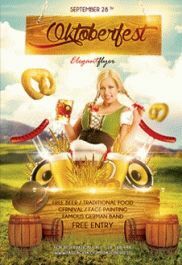 Approximately 6 million people visit “Oktoberfest” in Bavarian capital, Munich, during 2 weeks of the festival. 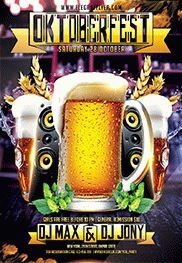 We know that usually this holiday is celebrated in many other countries and cities where a lot of beer fests and beer parties in pubs and cafes take place. 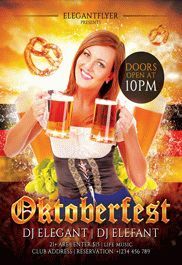 Download our Free Oktoberfest Flyer templates and organize your own Oktoberfest with great music and tasty beer! 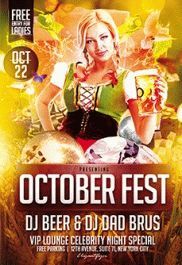 What do you think about some special PSD flyers for Oktoberfest? 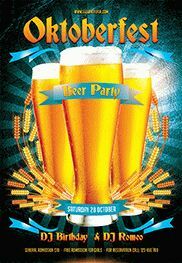 We have several printable Beer Festival Flyer PSD templates for you or your client! 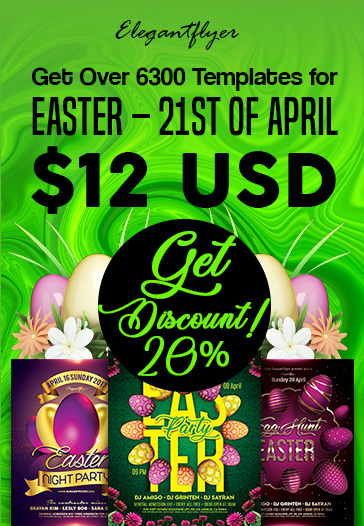 Your future guests will surely appreciate professional design and interesting ideas for invitations. 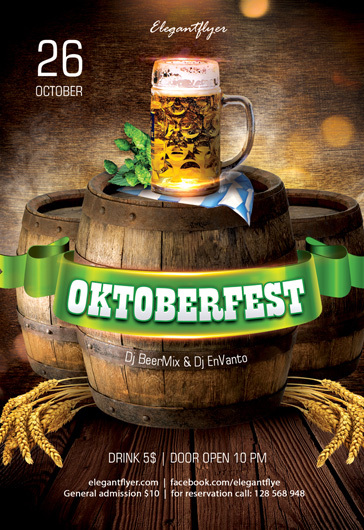 If you are a designer and you are looking for Oktoberfest party invitations templates, download any free PSD design template from our website and have no problems with customization. 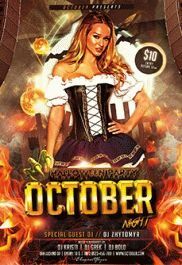 All the party flyers are very professional, they have a clear layer structure and all the details inside. With the exception of photos of people, they aren’t included.